We’re all familiar with that age-old stereotype of a salesman – that back-slapping, fast-talking charmer who won’t let you get a word in edgewise. Problem is that stereotype doesn’t work anymore. Good sales people aren’t talkers at all – they’re listeners. And the best sales people are great listeners. Sure they ask a lot of questions but their questions are designed to get you to do the talking … to get you to talk about yourself — your goals and dreams and worries and fears. Their goal is to find out what you want so they can structure a sales pitch that is most appealing and most relevant for you. When we use direct mail or email, we too try to listen to our prospects and customers. Yes, we put a lot of effort into developing our message and creating our direct mail package or email message (talking), but we also spend a good amount of time deciding what information we want to get back (listening). We do this in one of two ways – (1) as qualifying questions when responding to an offer, and (2) as dedicated marketing surveys designed to learn more about a target audience and identify potential leads. Getting a response to your direct mail or email is one thing, but getting a response with answers to key qualifying questions can really make a difference to your sales effort. By asking questions as part of the response, we are able to segment and grade the prospects who respond. As an example, for one client, we placed three short, multiple-choice questions on a reply card, then used the answers to segment respondents into three groups for differentiated follow-up. The first group went directly to the sales team, the second group went to a separate telemarketing staff and the third group went directly into the database for direct mail follow-up only. Keep in mind, the more questions you ask, you more likely you will depress response. This is the natural trade off between response quantity and response qualify. We have also had a great deal of success using direct mail and email surveys (or questionnaires) to generate sales leads and gather information the sales staff can use to structure their future sales efforts. These are dedicate marketing survey campaigns – often to a new audience, but can also target a house list of past responders. 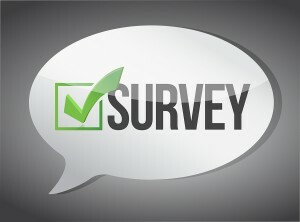 By dedicating the mailer or email to the survey, you increase the chances of getting people to response. A free gift for responding is also a good way to increase response. A few points of caution in the questions you ask: Multiple-choice questions are better than open-ended questions. Never ask for private or hard-to-retrieve information. Don’t waste your time asking questions that can be answered easily through other available sources. And remember, the questions should halp you determine the quality of your responses. They will not increase the quantity (although our questionnaire mailers have produced some of our best response rates). Whatever approach you take, start thinking of your direct mail and email not just as a vehicle for talking, but as a vehicle for listening as well.